Hespeler, 21 March 2016 © Scott McAndless Matthew 11:25-30, 2 Corinthians 12:1-10, Psalm 6 K ing Alfred, the ancestor (35 generations ago) of our present monarch Elizabeth II, is famous for many things. He is the only ruler of England ever to be called “the Great.” Indeed, most would say, if it weren’t for Alfred, there would never have been an England at all. 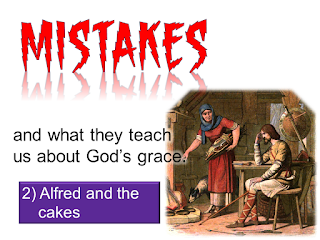 But for all the “great” things that Alfred ever did, he is probably most famous for one little mistake. Alfred became the king of Wessex, one of the seven ancient Anglo-Saxon kingdoms, at the young age of 22. It was not a good time to become a king. These were the days when the Vikings were invading England and things were not going well. 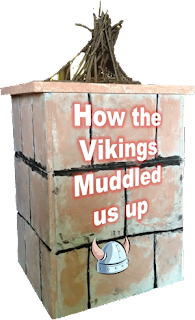 When Alfred came to power all of the other Anglo-Saxon kingdoms had already fallen under Viking rule. Only Wessex, in what is now southwestern England, was left as an independent English kingdom. And the Vikings were coming for Wessex. After leading a Study of "Body, Mind and Soul" within my congregation, I asked the participants what sort of feedback they wanted to give to the Justice and Church Doctrine Committees They asked me to send a summary of our discussions and observations into those committees. I have done that. Since we did not hold an additional meeting to share the report together, I just want to post it here so that the members of the group can read it. A group of members of St. Andrew’s Hespeler Presbyterian Church met together in five sessions from January 13th to February 3rd to discuss the study produced by the Justice and Church Doctrines committees. The committee has authorized me to summarize our reflections and thoughts and send them back to the committees to include in their deliberations. The first thing that I would note is that our discussions were very interesting and engaging. The discussions were held in an atmosphere of mutual respect.